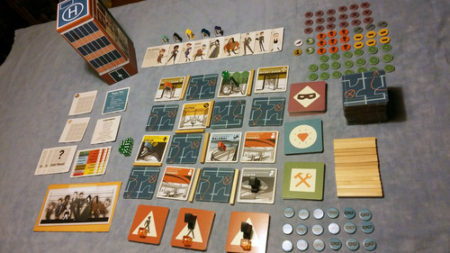 Every 6 months or so I update my top 10 favorite tabletop games list. I really enjoy making this list, as I continue to love games of all shapes and sizes with a fiery passion. I’ll note up front that I love a lot of games. I even have a YouTube channel devoted to specific mechanisms I love in games. So there are many, many games that won’t make this list, including all games that I’ve designed or published (that doesn’t seem fair) and even some of my favorite gaming experiences (Risk Legacy and Pandemic Legacy). 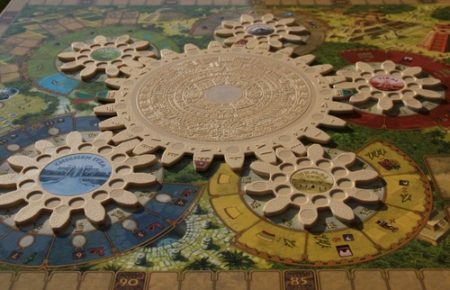 Moving off the previous list are several games that I still adore, but they’re just not quite in the top 10 right now: Orleans, Forbidden Desert, and Kemet. Barely missing the list were Splendor, Ora et Labora, Skull, 7 Wonders, Codenames, Lords of Waterdeep, and Mysterium. It was really, really close between this and Forbidden Desert. They’re both cooperative games that provide a very similar feeling, but in the end, I have to go with the heist game. I love heist movies, and this game–while somewhat abstract–gives me enough theme and plenty of interesting decisions to make me feel like I’m in one of those films. It’s my second-favorite cooperative game right now. Based on most of the other games on this list, it doesn’t make all that much sense that Telestrations is here. But on any give game night, I’m happy if we play Telestrations. There’s just so much creativity and humor that comes from the simple mechanism of writing something on a whiteboard pad, passing it to the next player, then drawing whatever the next person wrote. It’s wonderful. There are a few completely abstract games on my list; this is the first. It’s a simple 2-player game that I’m always delighted to play. 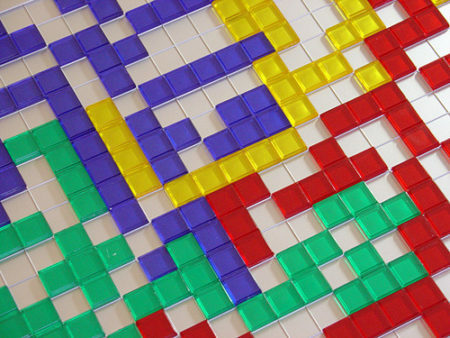 It feels a lot like head-to-head Tetris, but prettier and with more interesting choices. I buy this as presents for couples all the time, as anyone can learn it in a matter of minutes. This game makes me giddy with joy even just thinking about it. 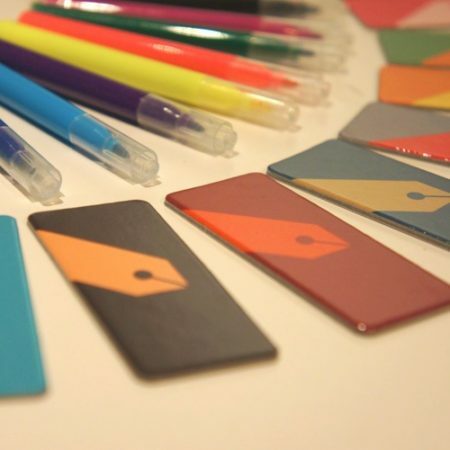 The basic idea is that everyone is helping to draw a picture or concept on a shared piece of paper. Everyone knows what they’re drawing…except for one person (the fake artist). So you’re trying to convey through what you draw that you know what the picture is, but not in so much detail that you give the fake artist enough information to figure out the drawing and blend in. It’s so much fun, and I highly recommend keeping pictures you’ve drawn in the past so you can revisit them. This is the other abstract game on the list. I don’t get to play Blokus all that often, but I’m always, always happy to play it if we have exactly 4 people. The puzzle of maximizing every piece, wiggling out of tight situations, and blocking other players makes my brain happy. Here’s the second new entry on this list. Some of the best gaming experiences of 2016 have come from the 4 modules of T.I.M.E. Stories. It’s pretty much a mystery in a box: Players travel back in time to investigate some strange occurrences. The use of art and writing in the game is brilliant–it’s so good that I can recount numerous specific stories about things that happened during the game. I can’t say that about many games. My favorite module so far is A Prophecy of Dragons, and I can’t wait for more. I just can’t quit this game. It’s a serious Euro game that uses time as a resource in such a brilliant way. It’s been the inspiration for several of my designs, and I simply have tons of fun every time I play it. Worker-placement is one of my favorite mechanisms, and this is my favorite worker-placement game. Terra Mystica hasn’t hit the table as much in recent months because we’ve been playing a lot of new games (and a lot of Scythe, which is largely inspired by it), but I still love this game and am always happy to play. It’s a very rewarding game–everything you do makes you feel clever. I love games that reward instead of punish. This is the top newcomer on the list, and it has such a similar feeling as my #1 game that it came close to competing for that top spot. 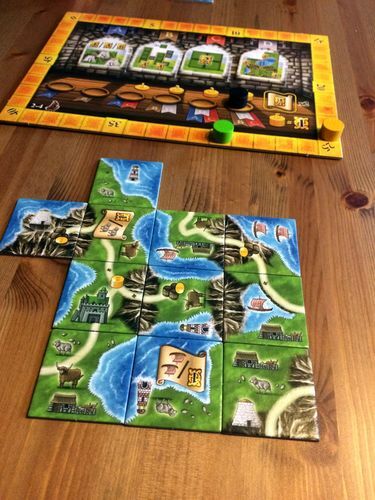 Isle of Skye is a game about building a small empire in Scotland. It’s a tile-laying game with a price-setting/bidding mechanism (all of those words could literally be used to describe the #1 game). It’s another rewarding game with tons of interesting decisions and moments of cleverness. I’m not even very good at Isle of Skye, but I still have a blast when I play. This entry was posted on Tuesday, August 16th, 2016 at 9:37 pm	and is filed under favorites, superlatives and tagged with board game, favorites, superlatives. You can follow any responses to this entry through the RSS 2.0 feed. Isle of Skye, Burgle Bros., Mexica, Arctic Scavengers.. and there is this game… I can’t pronounce it right. Scythe! (Of course.) They have all been hitting my table a bunch lately. 3 of these are on my list; TM , Fake Artist, BB…have you played with wooden KS tower? It’s clunky, but really adds to the feel of being in a skyscraper heist. I have Blokus but had dismissed it…will try it again. I’d add Clockwork Wars – not dissimilar feel to Scythe, thematically, and threatofwar being greater than actualwar – Eclipse, Quartermaster General for Grand Stratefgy, In a Bind and Ice Cool for silly fun. I haven’t played with the tower yet, but I hope to do so at some point. I had a lot of fun with Ice Cool (though I think Coconuts is still my favorite dexterity game). Thanks for the recommendation of Clockwork Wars! Oh, if you’ve not played Clockwork Wars, you definitely should – I assumed it was a thematic inspiration towards Scythe tbh, and it also has some very interesting mechanics and interactions. Gorsh dorn it. You’re not making it easy to continue NOT buying Isle of Skye. Switching hats between a game player and a game publisher . . . how many of these top 10 would you have wanted to publish supposing you were approached when the game was in development and given your currently familiarity with the game play and mechanics? All 10? Is there a separate top 10 list of games you love *and* would have jumped at publishing? That’s a fun question, Charles. I actually tried to buy the rights to Fake Artist, but they said no. 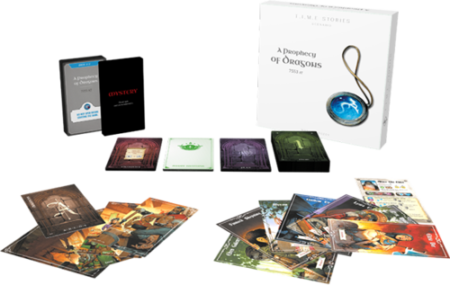 I also tried to get Mysterium before it came to the US, but I was too late. And I thought about going after Sushi Go (before I knew what I was doing). 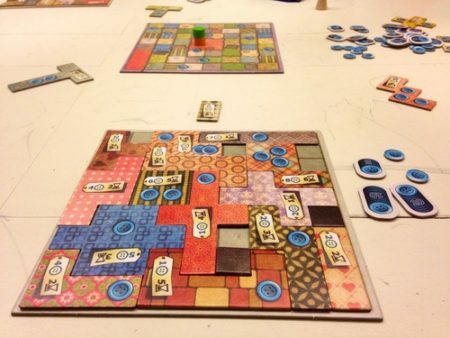 Of the games on this list, I probably wouldn’t have even looked at Patchwork (we typically publish games that play from 2 to 5 or 6 players) or Blokus (way too abstract). 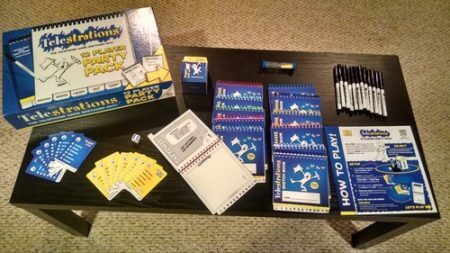 Telestrations doesn’t really fit our games, and I probably would have thought I didn’t know how to market it. But the rest of them? Absolutely. I would have loved the chance to publish them. Jamey, would you recommend A Fake Artist for a group of people that is fairly skilled at drawing? Yes, I think it works for people of all drawing skills, as you can draw as much or as little as you want when it’s your turn. 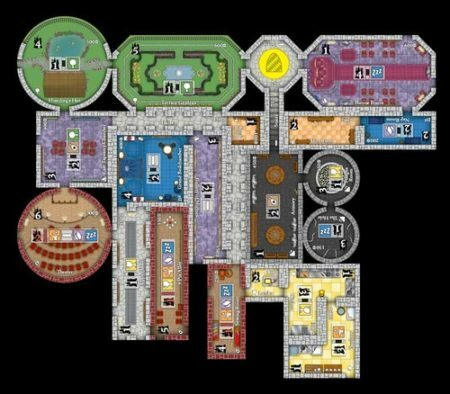 Just compiled my annual top 25 for the Dice Tower People’s Choice, so may as well throw this in here: Of your list, only Tzolk’in is in my Top 10 (#8); Forbidden Desert is my #12, Isle of Skye my #18, and Castles of Mad King Ludwig my #21. Of course, three games that were never going to make your top 10 are in mine; Scythe at #2, Viticulture at #6 and Euphoria at #7, while another that was never going to make you’re top ten, Between Two Cities, sits in at #16 on my list. Time Stories was also on my shortlist. I’m honored that so many of my games made your top 10, Stephen! I’m curious about the others on your top 10, given that we have similar tastes in games. Similar tastes, yes – You seem to design pretty much exactly what I look for in a Euro, and it’s reading over this top ten that made me realize exactly why that is. I think the main difference in our tastes comes down to me playing two and three player more often than you, and you play large groups more often than me. Thanks for sharing this list, Stephen. It’s really interesting what draws you to Mice and Mystics, Navajo Wars, and Wir Sind Das Volk (which I had never heard of). I’m curious about finding the right game of mine for an automatic-victory condition. Instant victory really are great for tension. Unless we count multiplayer Magic, I’m not sure I’ve seen them outside of hidden objectives in games that play more than two (e.g. Ankh-Morpork) where everyone has a different victory criteria specific to them. (Although… Maybe some of the alien powers in Cosmic Encounter do that as well? Though those are usually ‘this is the only way you can win’ iirc), but – especially if the balance is such that it’s very possible for one player to be verging on one victory condition, and another to be verging on another – they’re fantastic for two player games. And considering you’re a fan of games where players drive when they end rather than predetermined game lengths, I’m not surprised you’re wanting to use them. Thanks for sharing, Sam! I’m glad you’re enjoying Scythe. I was just thinking about Railways of the World the other day…it’s such a good game. I certainly agree with Ludwig. And A Fake Artist sounds a lot like Spyfall, which is great fun with the right people. I once was the spy and got asked, “What time of year does your job happen” and I answered, “Summer.” Later I was asked the favorite part of my job and I said, “The fur.” Where that came from I have no way of knowing, but was forced to defend it when it confused the questioner. When the location was revealed, it was the Zoo, and someone else was unanimously voted as spy. There are a lot of games on this list I’ve yet to try. I’m not as enchanted with Isle of Skye as others. 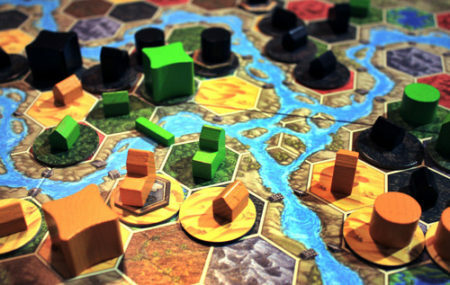 It seems like Carcassonne, but with a hand (which I like) and would be a great variant. Also the bidding adds to it. I like the game, but it’s not high on my list. I’ve only played the base game of TIME stories, and got stuck and haven’t been back. Thanks Mark! I’m glad you’ve had a good time with Scythe. 🙂 I have indeed played Marco Polo, many times–it’s a great game.